You are here: Home » Features » Hello Sunday Morning - a movement towards a better drinking culture. Hello Sunday Morning - a movement towards a better drinking culture. 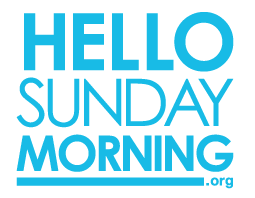 Hello Sunday Morning (HSM) is an international movement which aims to create a better drinking culture. HSM is a way for any individual to take a break from drinking and recreate the drinking culture around us. This is not an anti-drinking initiative; it supports people to change their relationship with alcohol, so there is a more positive aspect to their drinking, if required. At the heart of the initiative is an online support resource at hellosundaymornings.ie. Here participants can signup to commit to a period of time without alcohol - this involves a period of sobriety for three, six, or twelve months. Using the online resource, users can incentivise their HSM with goals to achieve during this period, and they can also write and reflect about their journey, and read and comment on other people’s journeys. Personal change is tracked and developed through the website, and online peer-support and encouragement is provided by others taking the HSM plunge. SpunOut.ie are the Irish partner who deliver and manage the HSM programme in Ireland. In order to gain a better understanding of how the HSM experience works, and what people might expect from it, we spoke to John Buckley, Youth Engagement Officer with SpunOut.ie.